The event center is built around a country rustic bank barn that was originally built in 1876. The barn once housed animals, and was home to a thriving family farm that specialized in the harvest of fruit and grapes for wine making. Current construction of the facility began in 1969 with the latest renovations taking place in 2016. Our family wants you to feel at home and experience the personal service that a family owned business can offer. Our new custom wine bar is the latest renovation to the facility. The custom wood bar and glass wine display was created by the owners to blend with the rustic hard wood floors. Skyview Lodge is a 3rd generation family farm that has evolved into the current event center. The land was orginally defined by a land grant after the civil war and was owned by Arthur Barber and his family. The current owners accquired the property in 1969. 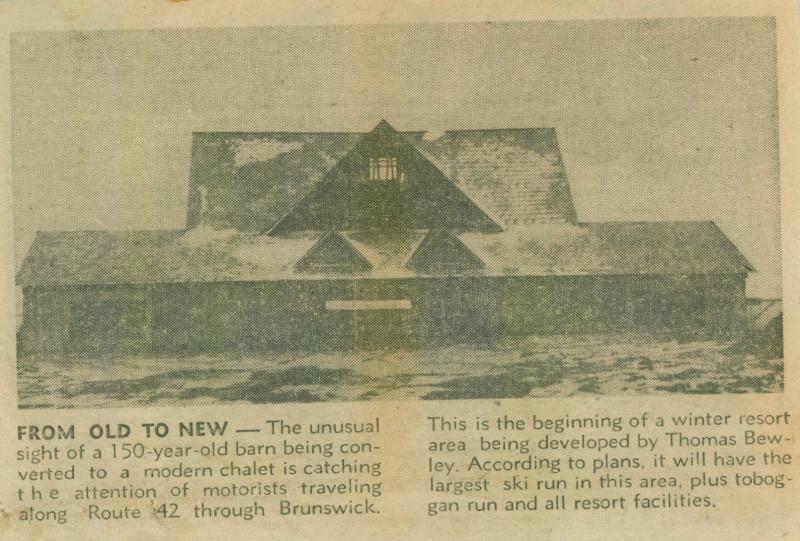 The original plans included renovations to property and barn to accomodate a small ski area. The construction plans were designed to resemble a european swiss chalet. For awhile the area was used as a cross-country ski area. In the early 70's the plans for a ski area were abandoned to make way for the existing rural recreation area and event center that is now owned and operated by the family. Renovations to the existing barn began then and continues to present. Skyview is a Rural Recreation Area and Full Service Event Center that specializes in Wedding Receptions. We host community events throughout the year. Skyview Lodge has been named AAA exlusive wedding venue for Northeast Ohio. Be sure to ask about our special discount for AAA members. Our team of wedding professionals are here to assist you.